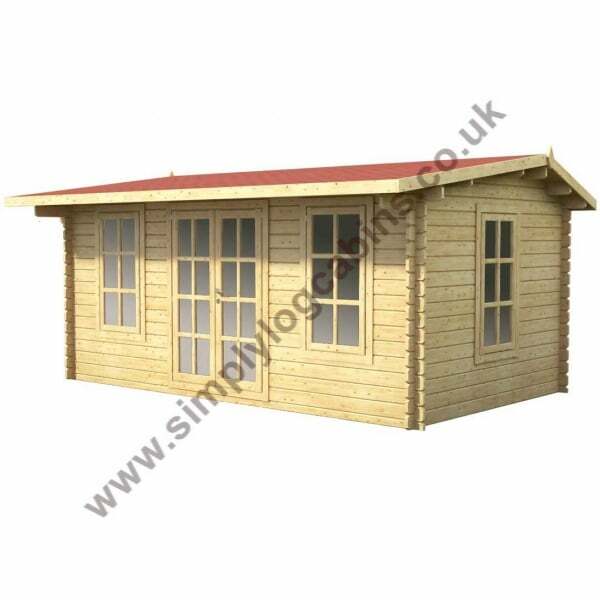 Eurovudas Rome 2 Log Cabin: The Eurovudas Rome 2 features 3 x Large Single Windows and a Large Double Door. With its huge glazed area (all glass is double glazed) the Rome 2 Log Cabin creates an airy, bright secure space in which to work or relax. The Rome 2 with its 44mm Wall Logs, Roof Insulation Option and Double Glazed throughout is simply ideal as a garden office or as an extension to your living space in whatever way you choose to use it. Constructed from highly sturdy North European North European Spruce the Rome 2, when treated correctly, is a very durable and attractive garden building.